One weekend every year Open House Oslo invites the public into outstandig architecture. Our aim is to give everyone the opportunity to explore and understand the value of a well-designed built environment. Open House Oslo is free of charge and open to everyone. Last year 42 000 visited the open houses. Oslo is one for over 30 member-cities in the Open House Worldwide Family: London, New York, Dublin, Tel Aviv, Jerusalem, Helsinki, Melbourne, Galway, Barcelona, Helsinki, Slovenia, Chicago, Roma, Lisboa, Perth, Adelaide, Brisbane, Thessalonika, Limerick, Gdynia, Buenos Aires, Vienna, Athen, Nicosia, Monterrey, Cork, Vilnius, Praha, Belfast, Porto and Madrid. We to foster appreciation, understanding and learning amongst your own communities along with the value of architectural excellence andshowcasingoutstandingdesign,combiningcontemporar y and historical. Open House Oslo 2015 was financed by the cooperative partners (20%), public funding (30%) and by private sponsors (50%). In addition comes great efforts from the volunteers and from the partners. Open House Oslo has in-between 300 and 500 volunteers working in the open houses and gardens. At least half of them are highly qualified professionals sharing from their expertise. www.openhouseoslo.org is run by Open House Oslo. Here you can find information about a selection for architecture in the Oslo-region, and other easy to read articles about architecture and city design. 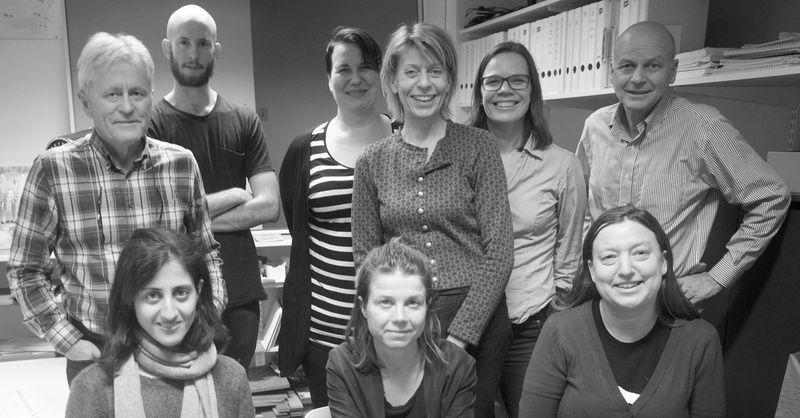 Volunteers 2015/2016 Tobias Lahn (NLA), Mads Engh Juel (NLA), Eva Kvandal (Statsbygg), Ina Johanne Sneis (Statsbygg), Cecilia Carlsson (PBE), Stig Eide (PBE), Erik Collett, Ellen Margrethe Skilnand, Safura Abdiha, Ivar Lykke (OAF Senior), Vegard Thilo and Ellen Haukås.